Hello! Today I'm back with another 26 Great Nail Art Ideas mani, this time for the prompt 'Spring Animals'. This was another theme I made up as I went along - I only did them lastnight! I couldn't think of anything with spring animals on, and I didn't fancy freehanding. 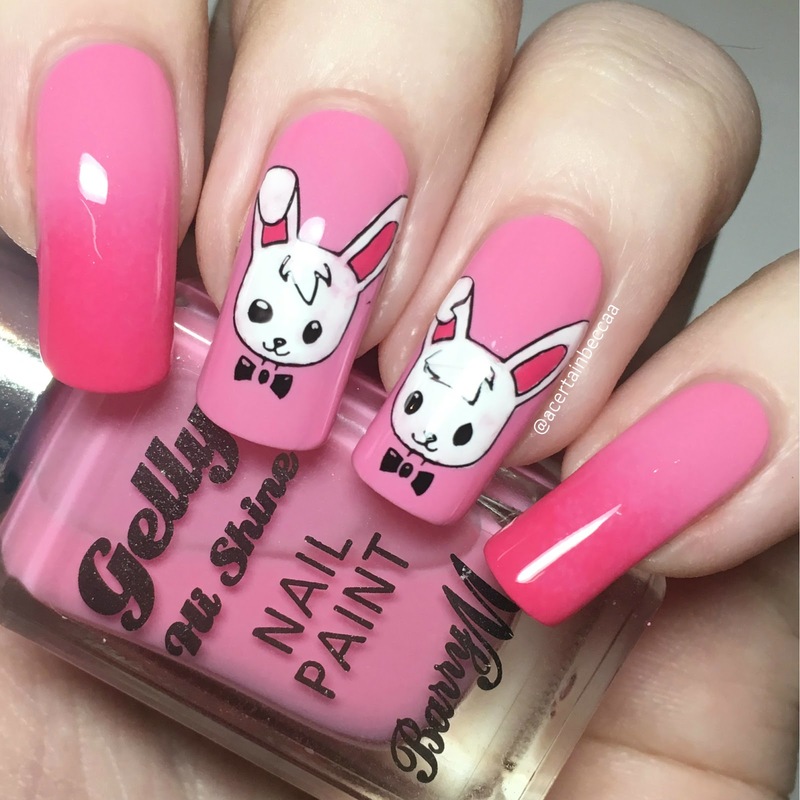 I ended up cheating by using the white rabbit from an Alice In Wonderland plate to create bunny nails. Read on for more info! I started by painting my middle and ring nails with Barry M 'Dragon Fruit', and creating a gradient of 'Dragon Fruit' and 'Pink Punch' on my pointer and pinky nails. All are shown below without topcoat. As mentioned earlier, I picked out the white rabbit from a stamping plate - MoYou London Alice in Wonderland 02. Here's a quick look at the full plate. I used my Born Pretty Store clear stamper and Hit The Bottle 'As Black As Night' to pick up the image, and coloured it in on the stamper head using Pretty Serious 'Absence' (white) and Barry M 'Pink Punch' (pink). 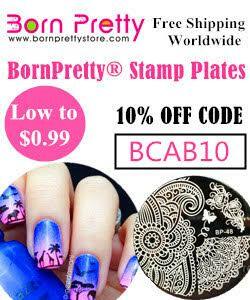 I then stamped it directly onto my middle nail. I repeated the process again for my ring nail. Finally, I finished by topcoating everything. What do you think? Aren't they so cute?! Considering they were fairly last minute, I'm really happy with how they came out. I also can't stop using Barry M polishes! 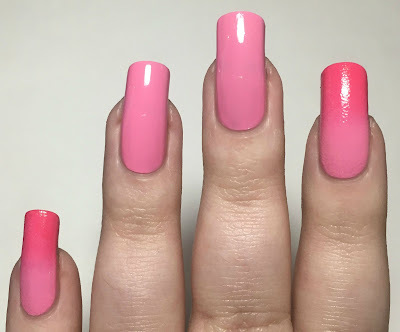 They seem to be my go to for nail art, especially gradients - just look how well they blend! I can't get enough. what a lovely plate you used here! Those bunnies are perfection! 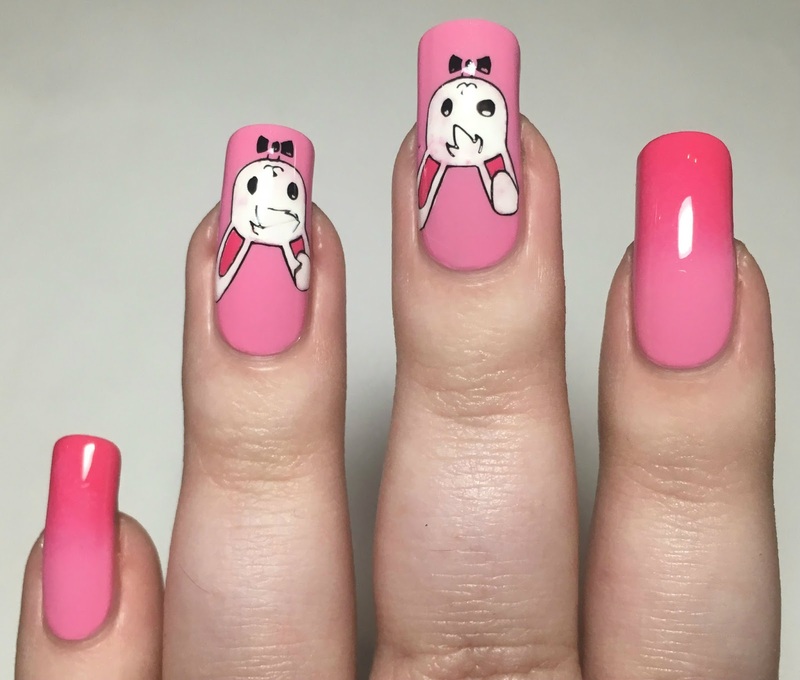 I love this - the pink base makes it so fun!